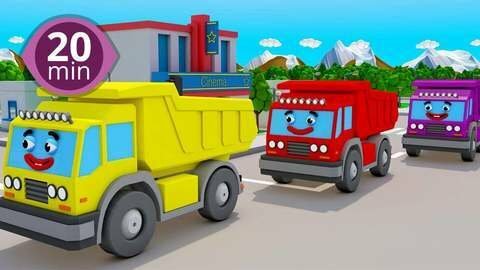 20 minute nonstop 3D car cartoon helps kids learn colors in this cheerful free online video. Watch Red Fire Truck find his special red parking space. Sing along to the Finger Family, The Wheels on the Bus and other popular children’s songs. Watch free educational videos online at SeeZisKids!